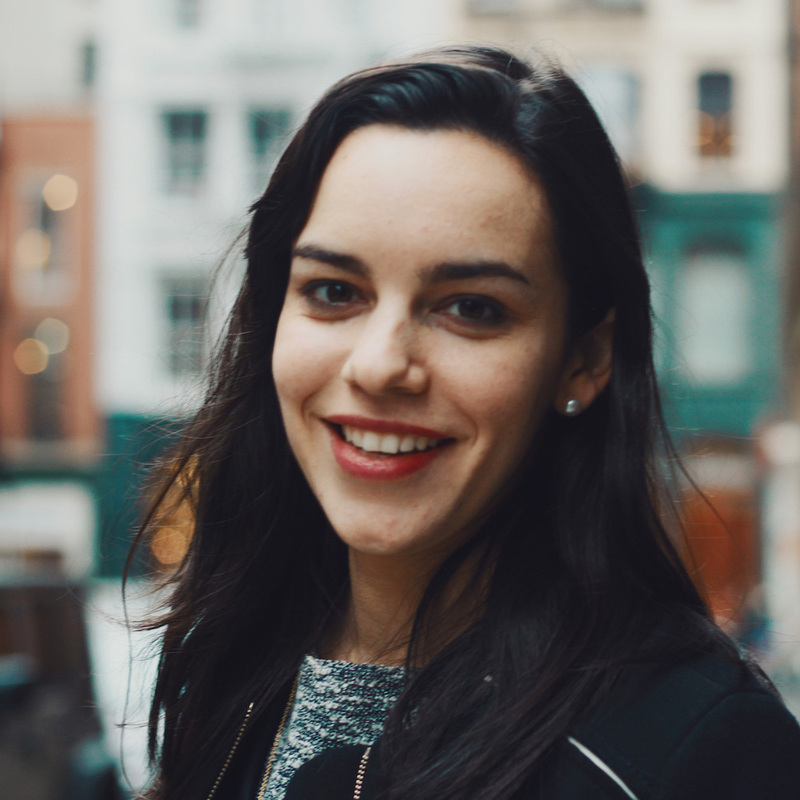 Irene Alvarado is a UX designer and creative technologist based in NYC. She investigates spaces where design, visualization, storytelling, and computation overlap, and uses a combination of design thinking and technical expertise to create interactive experiences and data visualization projects. She recently completed a master in Human Computer Interaction and Emerging Media at Carnegie Mellon University and is now a Creative Technologist at Google Creative Lab. Teaching a "Prototyping in Augmented Reality" course at NYU's ITP. Helping coordinate the production of the first Cybernetics conference in NYC. Participating in a monthly cybernetics reading group where a diverse group of folks mostly talk about systems thinking. Translating a Machine Learning for Artists Guide into Spanish, with the hope that machine learning becomes more accessible to people outside of the tech world. Mentoring an amazing young coder/entrepreneur/artist teenager through Code Next. Recently becoming more diligent about collecting my thoughts, ongoing research, and inspirations on Are.na. Bouldering as much as I can on weekends. Investigating the future of technology through creative code and design. Created tools for designers and developers to create OpenGL-based maps. Collaborated to create first prototype of a machine-learning based, visual search engine for satellite imagery.